Have you ever noticed the Check Engine Light (CEL) glowing on your instrument panel? “Great,” you’ve thought. “What’s the problem and how much will it cost me to get it fixed?” You may prefer to simply call your local mechanic for an appointment, but these days a lot of people are purchasing code readers so they can get a little insight into the issue. Here is what you should know about these code readers. The fuel injection system, ignition system and many sub-systems on today’s vehicles are controlled by the Engine Control Module (ECM). These ECMs collect operating data from your engine and the other car’s systems, then send commands that control the fuel injector and engine coils. However, as a vehicle gets older, things need replacing, or may just out-and-out fail. That is when the CEL light illuminates. It means that the ECM is reading data from a sensor that indicates something needs attention because it’s not going right. The ECM also stores a diagnostic “trouble code” so a service technician knows what the issue likely is. Owners and professionals both use automotive code scanners to check ECM codes. Not long ago, code scanners were really expensive and were something that just professional mechanics used and owned. Nowadays, however, prices have dropped dramatically. Although you can still purchase expensive professional machines, you can also buy hand-held readers for around $20 or so. Professional scan tools come with graphic functions that let your technician monitor many parameters onscreen while the engine is running. This kind of diagnostic power really is not needed by consumers or even most DIYers. 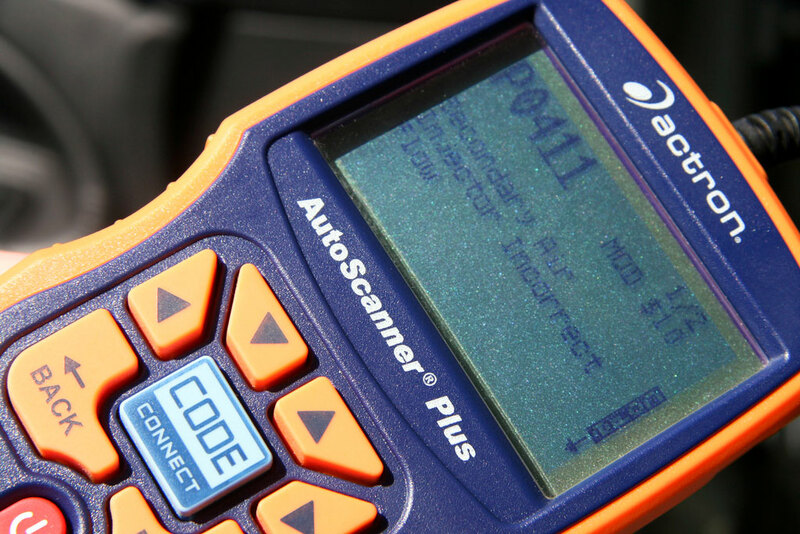 Using an automotive scanner is easy, to get started, plug the scan tool into the OBD II connector underneath the dash. (If you cannot find the connector, consult your owner’s manual or the internet.) After you get it connected, turn on the vehicle key then follow the instructions on the scanner’s screen. You will get an option to check for trouble codes. There could be many, so you may want to write them down. For interpretation, your code scanner should have a manual or you could find the codes through the internet. If you’re using the internet, type in the model of your car and the code number and you’ll find dozens of websites that can help you out. If your “throws a code” and you find out what the codes refer to, chances are you will still need a professional mechanic to fix the issue. Many times the codes refer to the emission systems on your car and these are complex today. Plus, there usually is interpretation needed when you analyze codes and professional mechanics perform this on a daily basis. Thank you to the service manager at Patrick Hyundai, a full-service car dealership, for assistance with this article! Patrick Hyundai is located in Schaumburg, IL. Be sure to take your car there for any repairs it may need!